Mr. Philip Long’s story began in 1918 in Ponca City, Oklahoma, where he lived until the eighth grade. He spent his high school years at Principia Academy and college years at Principia College in Missouri, graduating in 1940. After just one year of law school at the University of Michigan, Mr. Long enlisted in the United States Navy. World War II was raging and in 1942, Mr. Long mastered his training as a Hellcat fighter pilot in the South Pacific. He successfully flew 120 missions from the USS Enterprise, the most decorated ship of this era. He was also shot down twice. The USS Enterprise and Task Force 58 spent nearly a month in the Mariana Islands, preparing for and supporting the Saipan landings on 15 June 1944, striking targets on Guam and Rota, and engaging in the greatest carrier aircraft battle in history: the Battle of the Philippine Sea, 19-20 June 1944. The USS Enterprise played a significant role in the battle: her Combat Information Center (CIC) directed much of the action during the “Turkey Shoot” on the 19th, while an Air Group Ten search was the first to locate the Japanese fleet on the afternoon of the 20th. The growing number of successful night air missions, led by the Big E’s VF(N)-101 and VT-10 squadrons is notable. During this campaign Task Force 58 was attacked by the aircraft of the Japanese Fleet in successive waves. Lt. Commander M.P. Long and the USS Enterprise Hellcat (task force) fighters joined the Combat Air Patrol in intercepting the Japanese attacks and bombing Orote Airfield on Guam. Throughout the Battle of the Philippine Sea, the Task Force Fighters carried out strikes on Guam and the Pagan Islands neutralizing enemy airfields and destroying defense guns and military installations. Mr. Cimino’s story begins in 1936. Born and raised in Trinidad, Colorado. He spent his high school years in Parochial School, excelled in football, baseball and track & field. After graduating in 1954, Mr. Cimino joined the Marine Corp. and served in the MP / Security outfit and was known throughout his company as a “jack of all trades”. Sadly, Mr. Philip Long passed away in July of 2001, but his life’s work and legacy continues to flourish through his reputation and passion for solid business practices, solid long-term relationships and commitment to the community as well as the military community. It is clear why Mr. Long put the company in the hands of his partner and friend, Jay Cimino – CEO and President of Phil Long Dealerships. Mr. Cimino’s giving nature is a true reflection of the man he is in both his personal and business life. He is committed to improving the quality of life for all citizens, by nurturing ideas that benefit our employees as well as the community. Mr. Cimino’s leadership gave life to the Phil Long Community Fund (PLCF) in 1991, which provides grants for 501c3 youth based organizations. The mission of the PLCF is to sponsor activities and resources that champion the self-esteem and performance of youth in their pursuit of excellence in education, sports and recreation. Since its inception, the Phil Long Community Fund has granted over 2 Million Dollars to youth organizations across the Front Range. The PLCF signature project was inspired by Jay… The “Fantasy Playground” project. With support from his friend Mike Shanahan and the Denver Bronco’s Charities, the first “Fantasy Playground” was built in 1996. Jay Cimino’s resolution to champion our civil servant heroes comes through sponsorships, participation, and awareness as well as vehicle and volunteer assistance. We support the annual Fallen Fire Fighters Memorial, the annual AMR Safety Jam in Pueblo, the Annual Colorado Springs Medal of Valor Luncheon, Shield 616 (vests & safety gear for officers), Colorado Springs Police Foundation, Denver Police Association, El Paso County Sheriff’s Department, and the Fallen Police Officers Memorial to name a few. The Phil Long Family of Dealerships supports the troops and their families. Since the dealership opened in 1945, Phil Long Dealerships has provided emergency automobile assistance to soldiers and families of deployed soldiers. After 9-11 Jay reinstated a program called “Operation Home Support” which provides assistance for mechanical services and other transportation emergencies, roadside help, vehicle rental and, when needed, vehicle replacement. In addition, spouses receive the same pricing that Phil Long Associates enjoy on all service, parts and other maintenance. Jay resolved to keep “Operation Home Support” intact until all of our soldiers return home. Another contribution from Jay and our dealership group to the troops was a $100,000 donation to Fort Carson’s Resiliency Campus in the form of a serenity water feature and water jet play area. It is located in the center of the campus and is adjacent to the center’s playground. The feature is a tribute to the war hero Philip Long and his military service, and also to the soldiers and family members who have committed to defending and preserving freedom at home and abroad. While his contributions have touched many communities throughout the Front Range, Jay’s love for his hometown is evident through the projects he creates… inspiring growth and change in the city of Trinidad. In 2010, Jay opened Phil Long Ford of Raton, NM, and Phil Long Toyota of Trinidad. In addition to bringing new business into Trinidad and Raton, NM, his passion for seeing Trinidad grow and become the gateway to Colorado led him to create the Trinidad Community Foundation (TCF), and then provide the seed money for the foundation. It also led him to create the Mt. Carmel Health, Wellness, and Community Center in Trinidad. Mt. Carmel HWC center is committed to bringing excellence, integrity, innovation, and the highest quality, patient centered integrated healthcare to Las Animas County and rural southern Colorado. www.mtcarmelwellness.org. In 2007, to thank Jay for his vision and contribution to the revitalization of the “City of Champions / City of Opportunity”, the City of Trinidad honored him and his wife Emily by naming the towns city park the “Jay Cimino Downtown Family Park and Playground”. 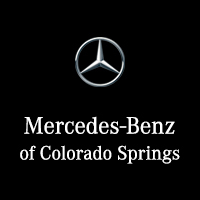 It’s not hard to see why Jay Cimino was named the 2013 American Red Cross (Pikes Peak Region) “Humanitarian of the Year” as well as the 2012 Colorado Auto Dealer of the Year! His vision and generosity have provided strength and means to succeed to hundreds of organizations and thousands of people throughout Colorado. Many of his philanthropic efforts often go unnoticed due to his modest approach. However, he has received well deserved recognition including the El Pomar Foundations prestigious Gov. John A. Love Award; Ford Motor Company’s Salute to Dealers Award; the Citizen Meritorious Service Award; The Columbine Individual Citation Award; The John Venezia Memorial Award; The Council for College Resource Development Award; and the Partners in Philanthropy Outstanding Individual Donor Award. In 2009 Jay receive what he says is his highest achievement yet, presented by the Jesuits of Regis University, the CIVIS PRINCEPS. Shortly after, Jay received the highest honor from Fort Carson Army Post given to a civilian, The Good Neighbor Award. Trinidad State Junior College honored Jay in 2012 as a Hall of Fame Recipient, and he received the distinguished award for Colorado Auto Dealer of the Year. In 2013, the American Red Cross honored Mr. Cimino as the Humanitarian of the Year, in 2015 the Home Front Cares presented Jay with the Joe Henjum Community Hero Award, and in 2017 Jay was honored with the Sons of Italy “Citizen of the year” award. Since 1945, Phil Long Dealerships has been in partnership with the United Way. Through corporate and employee donations more than Two Million dollars have been raised for the Pikes Peak and Mile High United Way campaigns in the past decade alone. To expand our giving Jay re-launched the “Good Neighbor Campaign” in conjunction with United Way. This campaign benefits six charities that touch several areas of need in our communities; the United Way, The Red Cross, the Marian House, the Home Front Cares, TESSA, and Mt. Carmel (both Center of Excellence for Veterans in Colorado Springs, and the Health Wellness & Community Center in Trinidad.) The campaign takes place in the fall over a six week period. The strength of the Phil Long Family of Dealerships in such a competitive industry is the result of its ongoing commitment to Philip Long’s vision ~ Commitment to the community, quality customer service and exceptional value. Over the years, the Phil Long Family of Dealerships has received numerous industry awards for record-breaking sales, superior customer service, innovative design and presentation, state of the art facilities, community service, design, development and more. Customers continue to return and refer because of this strong commitment to providing quality products, service and effort. Passionate commitment to ensure the success of the company as well as helping to build strong communities is the legacy of the Phil Long Family of Dealerships.